You are driving along on a Florida roadway when suddenly an armchair comes barreling across the lanes in your path. You swerve, but not before the errant chair crashes into your front fender. Damage and injuries were unavoidable. Or were they? In a case that involves improperly secured loads, you may want sound legal advice to guide you as you face automobile repairs and medical bills. After all, that armchair came from somewhere, right? And if you locate the “someone” behind the loose load, you may have a case for negligence in a Florida court of law. Secure all cargo with straps and ties designed for the purpose. For loads with multiple small items, a tightly secured tarp is your best bet. Be sure to balance your cargo carefully to prevent shifting. Make sure truck-bed doors are securely latched. Be extra careful when considering rooftop loads. Your car is not intended to carry materials on the roof without specific cargo units designed for that purpose. Do not simply tie items to your roof and expect them to be secure! Do not overload. It is better to make multiple trips than to risk a loose load. Consider the speeds associated with your trip. Would taking secondary routes at lower speeds be safer? By statute (316.520), all vehicles must be loaded so as to prevent the drop, shift, leak or blowing away of materials. That means that tarpaulins or other appropriate devices should be used secure materials while being transported on Florida roadways. Drivers and vehicle owners are required to ensure the security of their loads using any means necessary. Furthermore, when one willfully disregards one’s responsibility, resulting in serious injury or death, it may result in criminal charges. While encounters with loose loads are not everyday occurrences, they do happen. Consider the case of Jeannot Menelas, whose drive along Florida’s I-95 became treacherous when a huge piece of lumber impaled his windshield. Fortunately, the incident did not result in injuries. Seth Krebbeks was not so lucky. After a barbecue grill detached from the rear of a camper, it smashed into a car driving on the other side of the highway. Fifteen-year old Seth, who was a passenger in that vehicle, died from injuries related to the unexpected loose load. 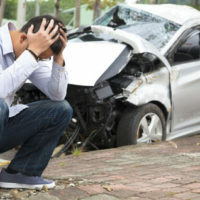 In the unfortunate event that you experience damages or injuries as a result of a loose load on a Florida roadway, the experienced team at the Law Offices of Robert W. Elton can help. Our aggressive team will investigate and pursue justice on your behalf. Call us today in Daytona and Ormond Beach for your free, confidential consultation.